Becoming a sponsor or making a splash with onsite advertising makes your marketing dollars go further and last longer. The MOF works hard to highlight those vendor partners who support the work of the organization, during the Forum and throughout the year. Tourism Industry leaders will see and value your support of the Forum. 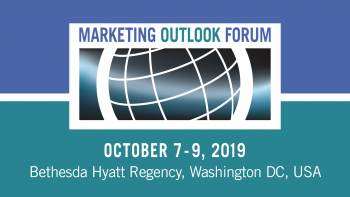 Through sponsorship and advertising, you’ll enhance attendees’ Forum experience and help make #2019MOF the best Forum, ever, while increasing your company’s presence, networking opportunities, and impressions with customers. List of all conference delegates, including email address, provided prior to the event. For more information or to discuss #2019MOF sponsorship opportunities, contact Elizabeth Pike, Conference & Events Assistant, at 248-708-8872, ext. 209 or at epike@ttra.com. For information about TTRA, contact Kathy Palmer, Executive Director, at 248-708-8872 ext 203 or at kpalmer@ttra.com.